Tom, I’ve been listening to the videos on project awol for almost an hour … do they ever get to a point? Holy cow, I’m not sure what I’m listening to. I like the energy, but he could probably make twice as much if he got to the point in 5 minutes and told me what I’m supposed to DO. I’m assuming Cameron is your mentor? Okay, so I just saw that the pay $25 thing came up for affiliate “mikefeil” which is weird since I linked from your site. I think I actually accidentally through in the wrong link for the video. I wasn’t ment to be that one, which is definitely a lot longer and linked back to someone else. The other is a LOT shorter. 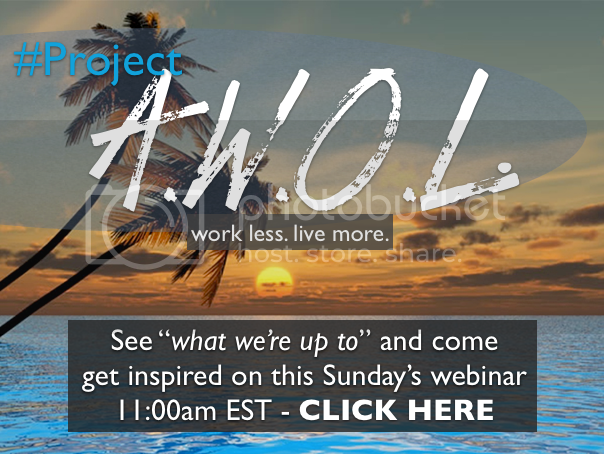 Were you interested in Project AWOL? I did for the first week, but I haven’t been able to find anything thats “natural” other than coconut oil. And I dont want to be absorbing all those chemicals into my body.